Former Attorney General Eric Holder and actor Arnold Schwarzenegger called upon the Supreme Court to limit partisan gerrymandering Tuesday as the court heard arguments on the issue. 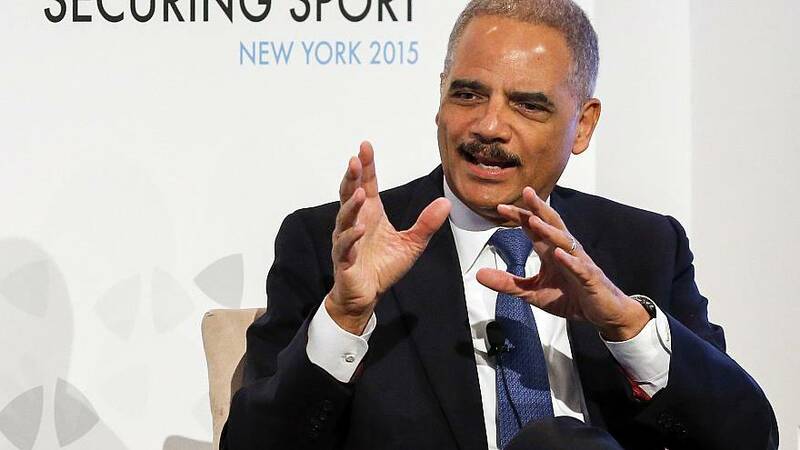 "It's incumbent upon the Supreme Court to look at our democracy and to see the reality of what is happening, and to say that there are limits," said Holder, a Democrat who served under former President Barack Obama. "The Supreme Court has said that there are limits with regard to racial gerrymandering; there's a clear precedent there. The Supreme Court has never said that there are limits when it comes to partisan gerrymandering. "Schwarzenegger, a former two-term Republican governor of California, added: "Gerrymandering, it is a national scandal. "The two spoke at the National Press Club in Washington, D.C., on Tuesday shortly after the Supreme Court heard challenges to congressional redistricting plans that locked in an advantage for Republicans in North Carolina and that gave an extra seat to Democrats in Maryland.The high court appeared unlikely to rule that federal courts have a role in deciding how much partisanship is too much when state legislatures draw the maps for voting districts.The court has said in the past that because redistricting is essentially a partisan political act, it would be impossible to determine when partisan gerrymandering became unconstitutional. Based on Tuesday's courtroom argument, a majority of the justices have not been persuaded that there's a way around that problem.The two newest justices, who were appointed by President Donald Trump, said the court should be especially reluctant to open the door to challenges based on excessive partisanship given that more states are adopting methods, such as redistricting commissions, that take the map-drawing assignment away from legislatures. "I don't dispute that extreme partisanship is a real danger in our country," Justice Brett Kavanaugh said. "But there's a fair amount of activity going on in the states to deal with it. "Justice Neil Gorsuch expressed a similar concern: "Why should we wade into this when there are alternatives that exist? "But several of the court's more liberal members said they were open to finding a way to strike down excessive examples of partisan gerrymandering. As it stands now, said Elena Kagan, "We're leaving it to the professional politicians who have an interest in perpetuating their own representation." 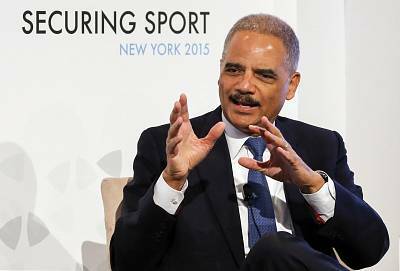 Holder said Tuesday that there's a direct correlation between gerrymandering and voter suppression. "You see the greatest amount of voter suppression in those states that are the most gerrymandered, where you see measures passed by these gerrymandered state legislatures that make it difficult for people to cast a ballot," he said. " There's no question that those two things are connected. "Schwarzenegger, who led nonpartisan districting efforts in his state, pointed to California as an example that overhauling the process is possible. "Everything is always impossible until someone does it," he said. "We have done it in California. Other states have done it. So it is possible. Therefore we can do it nationwide. ""I want to terminate that problem," he added.The Supreme Court will issue a decision in the two cases by late June.